Facilitation, at its best, is an art of supporting empowerment and participation in a group, especially when it comes to decision-making. This commitment, nonetheless, requires facilitators, often, to make, sometimes even enforce, unilateral choices. As soon as I was able to see this clearly through the fog of my aversion to imposition, I almost immediately realized that most of what a facilitator does is done unilaterally, even if there are group norms. The facilitator is the one who decides which decisions are made as part of the flow – sometimes even something as simple as “Let’s take a break for 10 minutes now” – and which decisions are brought to the group to make. The very reason a facilitator exists is so that they could support the process. No amount of agreements eliminates the choice about which agreement to use when and how. This is so much so, that facilitators who are unwilling to exercise this kind of power are, generally speaking, doing a disservice to the group rather than supporting empowerment and participation. I know, because before integrating this insight, I used to involve groups in more decisions than made sense for what we were trying to do, and I still remember the discomfort and unrest this created at times. Decisiveness on the part of a facilitator is an asset to the group. It provides clarity and smooth functioning, and allows people to focus on what’s most important instead of being asked for opinions and involved in a decision-making process about matters that are not germane to the purpose of the group. This kind of choice on the part of the facilitator is fundamentally about matters of process, not about the content of the group’s actions. Facilitators can hopefully decide, and easily, how long a break will be; who speaks next; or, sometimes, what process will be used for making a decision about a piece of content. That’s where it ends. I wouldn’t want to decide for a co-housing community what color the walls of the common room will be painted, as a contrasting example. In Business Not as Usual I described the functioning of a virtual community I created. As I wrote there, I was at first really satisfied with what had transpired, how the community came together, and how we developed a structure that allowed for collaborative leadership. A little over a year later, the only way I could see moving forward was to leave the community, because the balance of needs for me had tipped so heavily into the “unmet” zone. I had hoped that the community was robust enough that it would find a way to continue without me. That didn’t happen, which, in retrospect, doesn’t surprise me; both because as the founder and main leader of the community, I was a big draw for most, and because the issues that I didn’t find a way to handle continued to challenge the rest of the community. Of all the experiences I’ve had in the last many years, the events that led to this decision were the most significant lesson I’ve had about power, and especially how to use it in the context of a model of collaborative leadership and of my own profound commitment, as the leader, to power sharing. Now, more than a year after the community disintegrated, I feel able to write about what happened and what I learned from it. Attending to Conflict: Any group, community, or organization functions better in the long run when clear agreements are in place about how to handle conflicts when (not if) they arise. When I created the initial set of agreements, the draft of how the community would function that I used to invite people into it, I had in place a particular structure for handling conflicts. When a group of people didn’t think that structure was sufficient, and came together for a series of meetings to address the question, I was delighted. This was just my hope: that people would spontaneously organize themselves to attend to the needs and functions within the community. What I didn’t anticipate was that a conflict within that group would rapidly tear it apart, and those people who were involved in the conflict would not accept the repeated offers of mediation, nor the invitation to attend the structure that I had put in place. In retrospect, that would have been the first moment I would have chosen to take action. I knew full well at the time that the situation called for my attention, and yet I didn’t do anything. In part, it was because I didn’t have enough information and was challenged to learn more within the context of people choosing not to speak about what had happened. In part, it was because I felt helpless to intervene, because I wasn’t asked and I wasn’t sure I was trusted. In part, it was because all through that time my sister’s situation with cancer, and an ongoing challenge within my organization, were consuming so much of my attention that I didn’t have enough presence of mind to recognize how critical the situation was until months later. Responding to Criticism: For the following number of months, a few people, one in particular, were expressing more and more dissatisfaction with the community while not attending calls set up specifically to provide feedback about community functioning. Eventually, that person began sending extensive messages within the private social networking platform of the community. These messages became more and more critical, especially, though not only, of me, with increased intensity of language and interpretation, and longer, sometimes stretching to several pages. My choice as to how to respond was as consistent as I could possibly imagine with the commitments which formed the foundation of the community. I did all the work I needed to do internally to make use of what was written as a form of feedback. I focused my attention on expanding my heart to receive that person empathically, at least within myself, and to find love for her despite her very challenging actions. And I made efforts to dialogue up to a point, provided others were there in support. As the pace and intensity of the messages intensified, and as more and more of my energy, even while away and aiming to focus on teaching, was consumed with attending to all the ramifications of this and other actions that this individual took, I became less and less joyful about my involvement in this community. Eventually, as I said above, the balance tipped so strongly that leaving was the action that made the most sense to me. Meanwhile, even before I left, more and more people were choosing to leave the community, for reasons few of them expressed. I can only imagine that they became overwhelmed with tracking or tending to the various conflicts within the community, and, probably disillusioned with why it was all happening when we were all trying to live by the commitments. This is an important aspect of the dilemma of leadership I was facing. Now, looking back, it would have been my signal to take decisive action, most likely in the form of asking that person to leave weeks before it came to me seeing no choice except for me to leave. I considered this, I wanted it, I was desperate for it, in fact, and yet I didn’t ever do it because of my misguided idea that it would have been an act of power-over, and therefore by necessity something I would want to avoid as a person committed to living a nonviolent life. In describing Myth #1, I was already talking about how a group might choose to exclude some people under certain circumstances. This is, without a doubt, what I would have chosen to do with this individual. Writing now and looking back, I see that at that time I couldn’t uncouple exclusion from judgment and retribution. What I learned is that as a leader of a group or a movement, I would on some occasions, mostly super rare, be called upon to ask someone to leave a group. What the commitment to nonviolence and power sharing means, in those circumstances, is about making sure that I do not, as much as I can, fall into the trap of thinking that I am excluding the person because of a problem they have. Instead, I want to be able to keep extending love and acceptance towards the person and to remember that the issue is my own inability to find a way to handle the situation rather than any deficiency on the part of the person being asked to leave. Not being able to handle doesn’t even mean, solely, that I am suffering. I can imagine taking on the suffering willingly if the only effect of the difficulty is between the one person and myself. What I mean by not being able to handle is about not knowing how to respond in a way that also serves the group, the other people who are part of the unfolding without having much of a say, in general. It means that I cannot protect the group from the effects of one person’s actions. In this particular case, for example, this stringent requirement would have been in place. Throughout the entire episode, which lasted many months, I was able to maintain a soft tenderness towards this person, recognizing the suffering, understanding, at least in part, though never fully, what the experience actually was on her end. There were only momentary exceptions, spikes of shock when a new message arrived that took my breath away with the dramatic intensity of metaphors or interpretations. It wasn’t even exactly that it was about me; just seeing the power of the expressions was enough to affect me with its intensity. So it took some time to recover. Even then, I re-found my care almost immediately. It was the care for this person that muddled my clarity. It would have been care for the group that would have led me to make that courageous and extraordinarily difficult step of letting this person know that I had lost my ability to be an effective leader to the group, and therefore I want her to leave. This would not have been easy for her, or for the group. 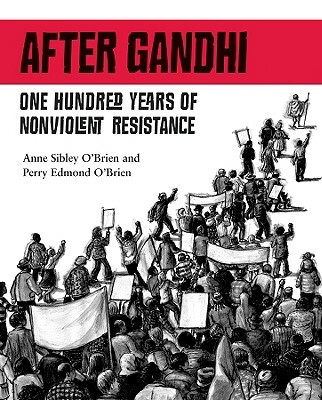 Intention and effect are not the same, as every case of nonviolent resistance shows. Those who find themselves unable to continue what they want to do experience those of us who lovingly stop them as exercising immense force and power-over, regardless of the love. Still, the love matters. At the very least, in this case, the love might have been clear to other members, and in that way might have supported the group in surviving the ordeal. I cannot know. What I do know is that I now feel prepared to exercise choice. Not with ease, certainly with a heavy heart, and still with a sense of total integrity with my overall intention not to impose outcomes on people. The Myths of Power-With series: #s One, Two, Three, Four, Five. Click here to read the Questions about this post, and to join us to discuss them on a conference call next Tuesday, 5:30-7 pm Pacific time. This is a way that you can connect with me and others who read this blog. We are asking for $30 to join the call, on a gift economy basis: so pay more or less (or nothing) as you are able and willing. This entry was posted in Uncategorized and tagged Uncategorized on August 10 / 2013 by Miki. I'm happy to see this, as it claims the freedom and power of choosing unilaterally. 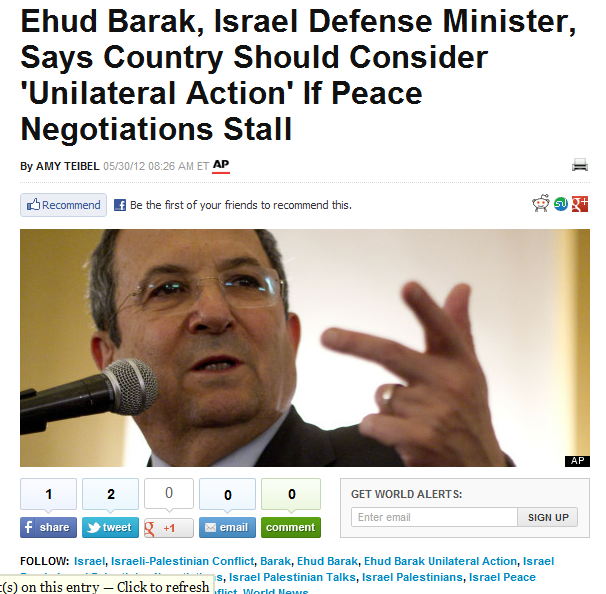 It seems to me the good/bad paradigm still exists to the extent that we think unilateral actions are "bad." I appreciate how facilitation and caring for the group are clear examples of unilateral choice being very effective in fulfilling a purpose. Purpose is key in choosing. Hi Miki, I would love to be on the call for this post! I did involve the community in my decision to leave, and provided several times when people could be on a call (this was, after all, a virtual community spread around quite far) and consider options. The question of the other person leaving was not on the table.